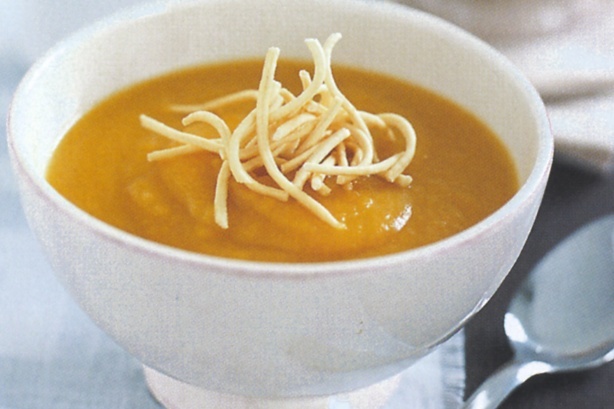 Classic Pumpkin Soup… #Easy #Simple #Tasty #HealthyToo Enjoy! Heat oil in a large saucepan over medium heat. Add leek and garlic. Cook, stirring, for 5 minutes. Add pumpkin, stock and water. Cover. Cook for 20 to 25 minutes or until pumpkin is tender. Blend soup in batches. Return to saucepan. Heat over medium heat until hot. Season with salt and pepper. And there you have your recipe for the week….enjoy something simple, tasty and healthy too….